If you live in a small condominium or home, you understand the challenges in trying to make the most of a little space. Some remodeling ideas can help you obtain more physical room to live in and accomplish tasks, and some will simply provide the illusion of more space. Zone Your Spaces: Create separate spaces or zones for your different activities, like sleeping, eating, exercising or entertaining. A curtain, a strategically placed piece of furniture, or even wall paint or hangings can signal a different zone or “room” within a living area. Multipurpose Your Furniture: When space is limited, one of the best tricks you can pull is to find furniture that can provide more than one function. For instance, an informal dining table can double as a desk. A sleeper couch becomes a guest bed. Colorful storage cubes can serve as bookshelves, extra seats, or an end table for snacks or drinks. Create Optical Illusions: Installing mirrors in various places can give the illusion that a space is bigger, but be careful not to overdo it. A glass door leading to another room or enclosed patio will open up your entire living space. When remodeling, you may also want to consider installing ceiling to floor draperies, which will trick the eye into thinking the room is taller than it is. Be Bold: Using a few large pieces of furniture in a small space actually makes the room look bigger than if you have several small pieces arranged in the same space. Go big, but use fewer pieces and be careful not to over-accessorize. Create Height: Kitchen cabinets and tall bookcases that reach the ceiling will make your room look taller by creating vertical lines. Anything that uses the space between the top of furniture and the ceiling will visually increase the height of the room. 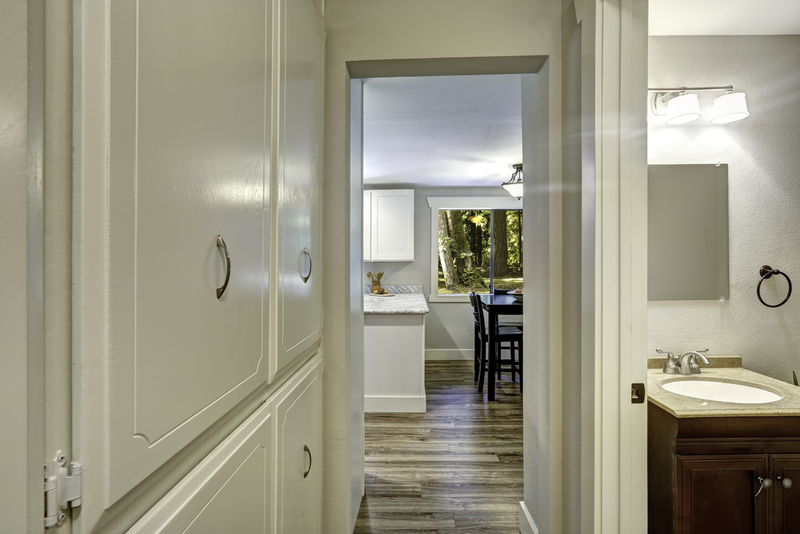 Ready to learn more about how remodeling your home can make your small spaces roomier? Get started today! Call InsideOut Renovations in Lincoln at (402) 474-0028 to learn about their bath, flooring, kitchen, and basement remodeling services, or visit their website for more information.